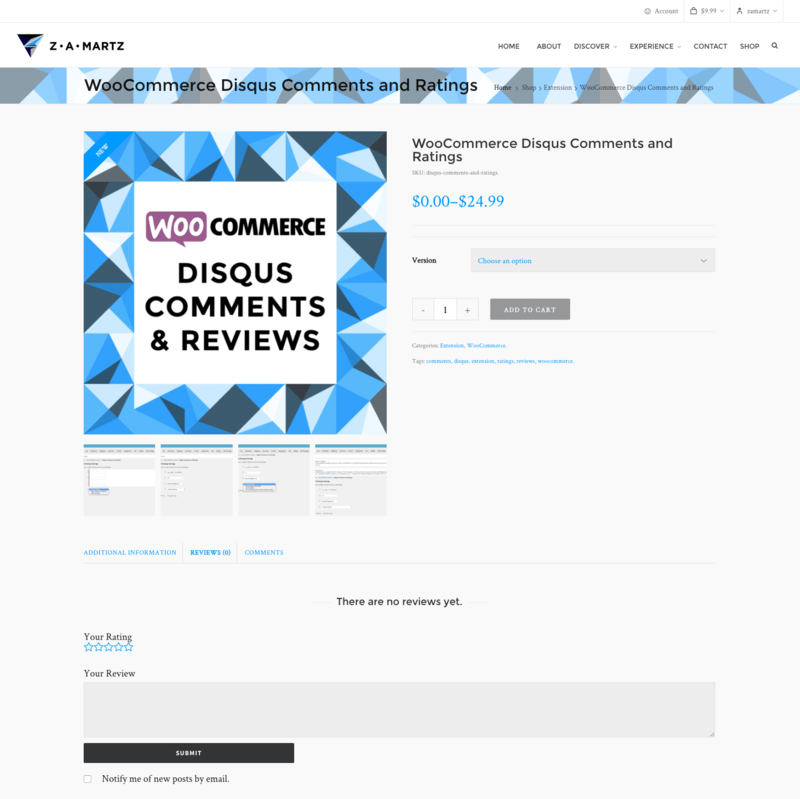 Allows the user to choose if they want WooCommerce Disqus Comments to override ratings with the Disqus comments or disable Disqus on product pages. 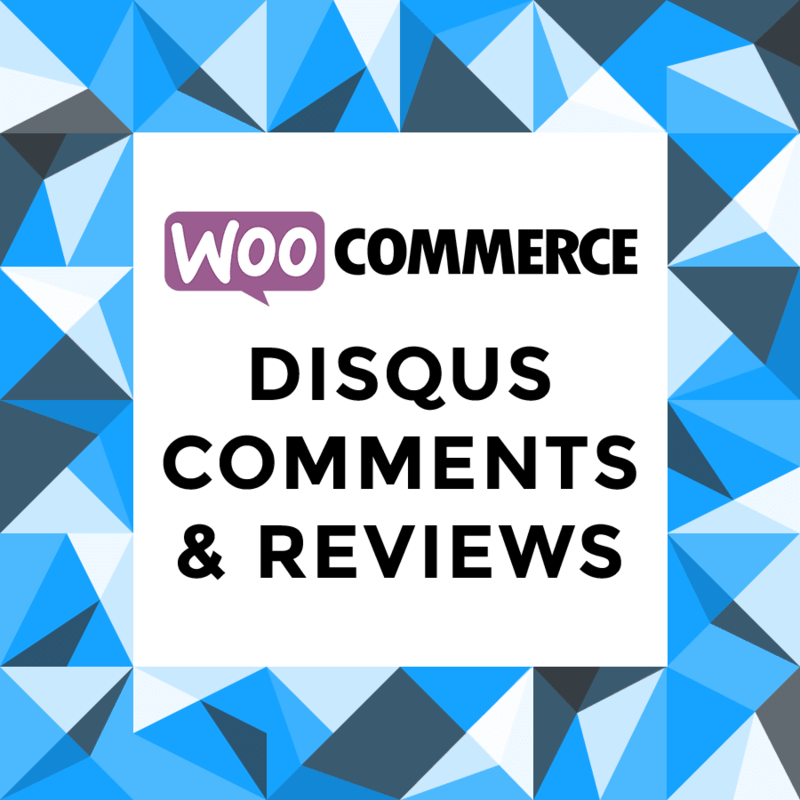 Fixes Issue when Disqus is enabled and breaks WooCommerce Product Reviews. 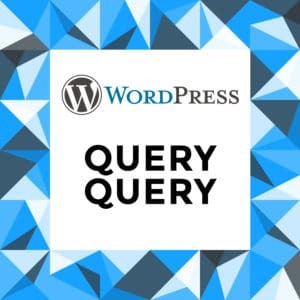 Categories: Extension, WooCommerce. 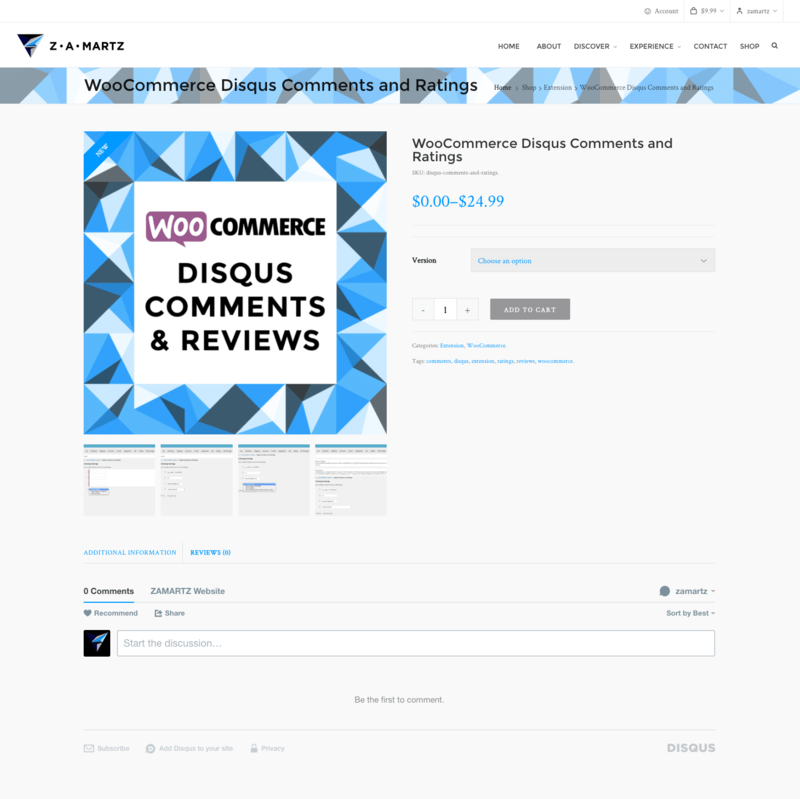 Tags: comments, disqus, extension, ratings, reviews, woocommerce, woodis. A: Make sure that you have all 3 required fields filled out and that you have save the options. Q: How do I find my API Key and/or Disable and/or Create a New Key? 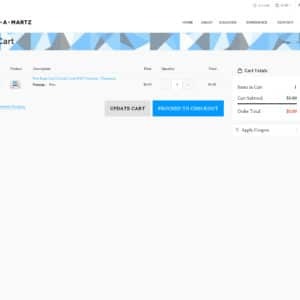 A: Login to your purchase at zamartz.com and goto the account settings. Q: What if I save over my settings and cannot use the API key? A: Uninstall the plugin and Reinstall it. 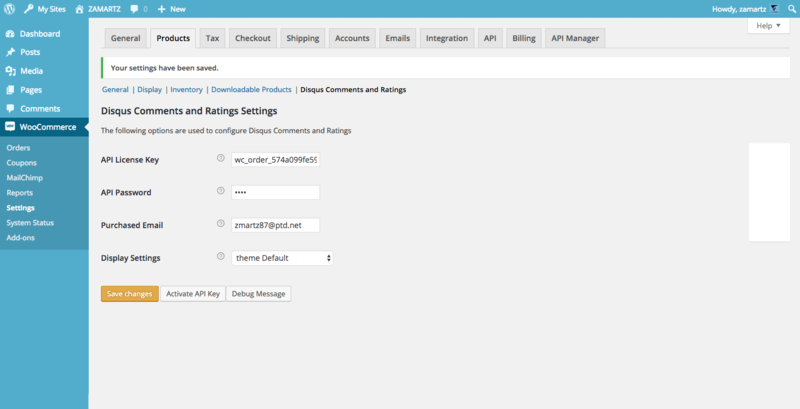 Then login to your purchase at zamartz.com and goto the account settings to Disable the old API Key and Create a New one. 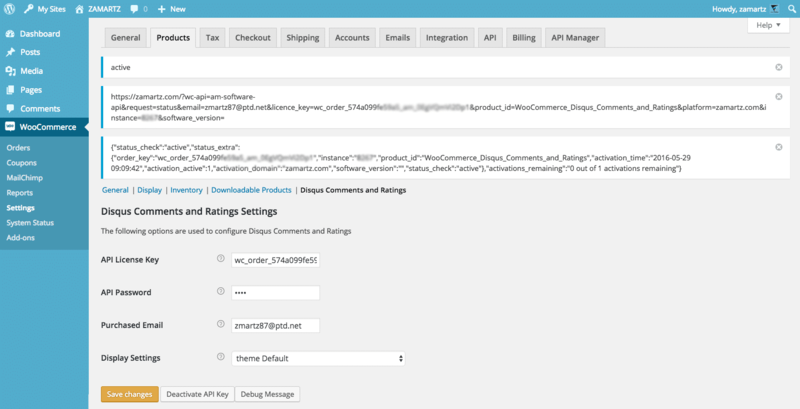 Great plugin, with great support! 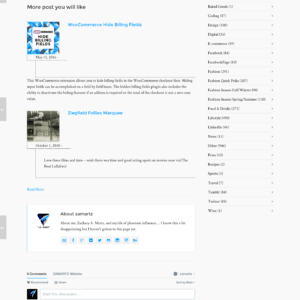 Needed to have both disqus and reviews in the shop. This plugin did this smoothly an elegant..
Great IDEA. 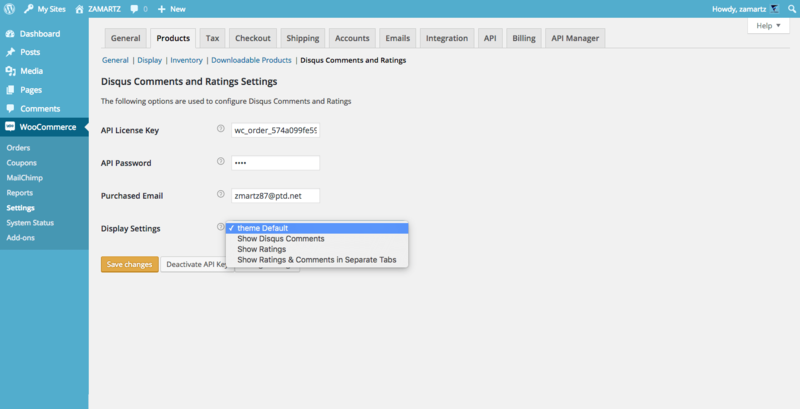 Find a good marketplace to sell this plugin on! Works like a charm and author is responding quickly. great support. 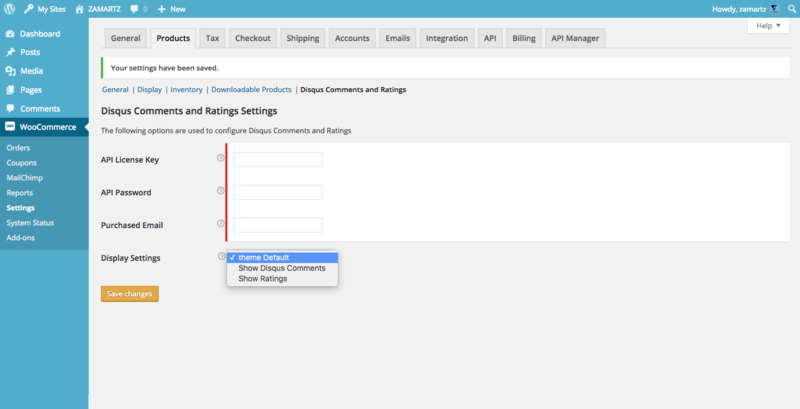 If you need to have both disqus and reviews in your shop, i recommend this plugin strongly.